Bjursås SkiCenter and Camping is nicely tucked in between Lake Bjursen and the mountain that caused the apprentice of Carl von Linnaeus to compare Bjursås to Dalarna’s Switzerland. In summer you can walk and bicycle along marked trails – there are many really nice routes to choose from! The lake right next to the campsite has a swimming area with jetties. You can also borrow a canoe or pedal boat for a trip on the lake, and we also sell fishing cards if you are in the mood for some fishing. Next to the swimming area there is a playground, miniature golf course, and reception with a small summer café. If you prefer swimming in warmer water, we have a family relaxation area with both swimming pool and whirlpools. 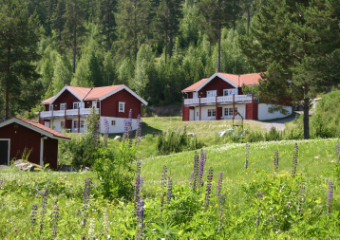 Traditional midsummer celebration is arranged every year in nearby classic Dössberget inn and local history museum. 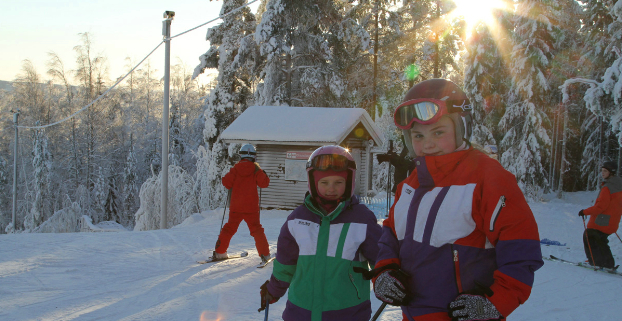 The towns of Falun, Leksand and Rättvik are all located in the surrounding area and offer a wealth of excursions, such as Sundborn, the home of painter Carl Larsson, Falu Copper mine and Dalhalla amphitheatre. During the winter months you can enjoy skiing down great slopes with chair lifts, and go for a refreshing trip on skis or skates on the frozen lake. Our restaurants offer great food and cosy après ski. We have 250 camping pitches to choose from, some with beachfront location. 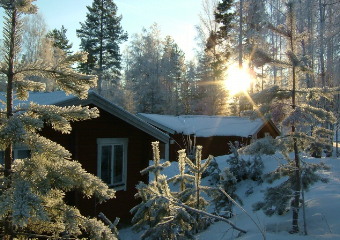 There are three service buildings with kitchen, shower and sauna. You can also hire cottages from us with 4-7 beds. 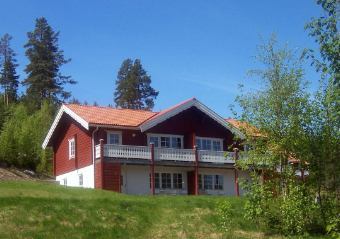 Welcome to till Bjursås SkiCenter and Camping! Stay in our new and fresh Dalarna-inspired log cabin, located right by the foot of the Bjursberget mountain. All cottages come with TV, shower and WC. Most also have sauna. Patio, swimming area and barbecue spot right outside the cottages.